GCSE maths is without-a-doubt, one of the most important subjects to study. It's so vital that 97% of jobs now require a pass in GCSE maths. This means, without a pass, it will be difficult to establish a future career path. At present, 40% fail their GCSE maths, 50% gain a C/B grade and only 10% achieve the top grades - A/A*. So why do so many people underperform in their GCSE maths? 1) Structure - By structure, I mean having a plan in place. Before you even begin revision, you need to have a schedule going forward. Firstly, gather all the resources you're going to use: a suitable revision guide and past papers. I would choose a revision guide which is not too big and not too small. A good number is around 100 pages long. This will be enough to cover the main concepts and a few questions to attempt. Once you have your resources, structure your revision so you'll get through all your material by the date of your exam. Remember, a lot of your revision is based on time. You will need to estimate how long it will take you to master a certain topic, whether you'll go through the entire syllabus in time, whether you can complete each past paper by the deadline etc. If you feel you are running short of time, make adjustments to your timetable and shift your focus towards past papers only. 2) Motivation - Once you have a plan in place, you need to stick to it. Inevitably, revision will become tedious but it is your motivation levels which will carry you through. Having a plan at the beginning is a great starting point. This is because you know in advance, what you're going to do on each day. 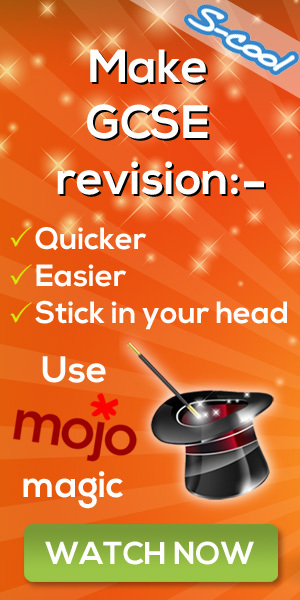 You also feel a sense of self-achievement when you complete your revision tasks on a given day. Students are motivated in different ways. You need to find out what motivates you. It could be listening to an inspirational song, viewing an inspirational video or imagining the euphoria you'll receive when opening your results envelope to find an A/A* certificate. 3) Memory - Memory retention is what will bring you a top grade in GCSE maths. I've seen many cases before where students appear to understand the theory, yet still underperform in the exam, simply because their memory retention is poor. This is one of the main reasons why thousands of students underperform in GCSE maths. The best way to improve memory retention is by repetition; keep doing practise questions over and over again and after a while, these key concepts/methods will become second nature to you. 4) Practice - You’ve heard this cliché before but it's so true... practise makes perfect. You are about to take an exam so the best preparation is to practice them! Gather a bunch of past papers and work through them. Understand the nature of each question. How does each question relate to the concept given in the revision guide? A large part of the exam is based on how well you can match up the theory from the revision guide with the question in context. Ask yourself, what does this question involve; is it to do with triangles and trigonometry? What is the correct formula to use here? Have I done this before? Quite often, you would have answered a similar question in the past. Lastly, track your progress. What result are you getting in each paper? Is it steadily increasing? You'll have a good idea on what you'll achieve in the real thing. These are the most important things when revising for your GCSE maths. I understand there is a lot of information to take in and you may still wonder: what is the best revision guide to use, how many past papers do I need to complete, or what are the best ways to boost memory retention? To answer these questions and address all of the factors mentioned above, I recently created a four week GCSE maths program. This is a fast track program for students who want to achieve their target grade in GCSE maths, whilst spending half their time doing other things you enjoy. At the end of the day, this is the ideal scenario for a student - to achieve the best grades in maths whilst maintaining a balanced social life. My vast experience in studying maths has enabled me to create such a program. In the program (called PassGCSEMaths), you'll be given a detailed four-week schedule so you'll know exactly what you need to from the first day of revision right up to the day before the exam. All you need to do is follow it and after a month, you'll achieve the grade you want. You won't have to worry about what resources you need, or how much time you need to spend on revision. Everything you need is included in this four-week package. I also reveal a fatal mistake that thousands of students make during their revision. It's so subtle yet can have a huge impact on your final result. Look..even a 10 year old has done it. Watch the interview below.